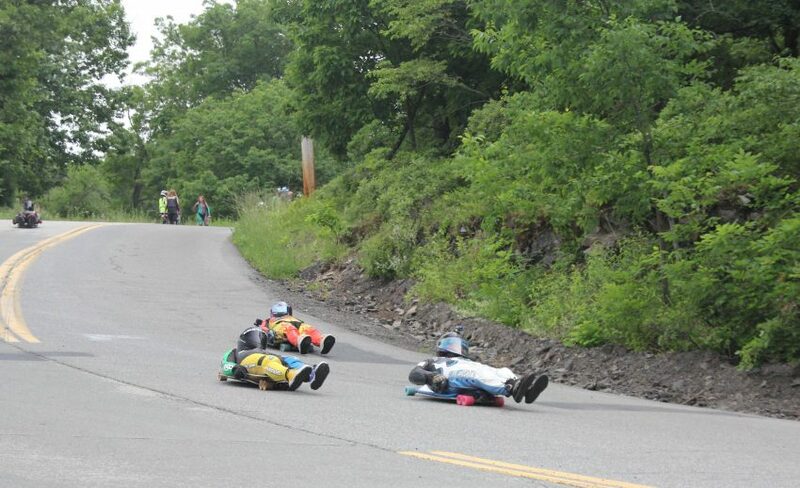 Today started off the Mahackamack 400 WQS race in the small Appalachian town of Port Jervis, NY. The track features two wide hairpins and some roller-coaster like straights providing opportunity to draft and take multiple lines through the corners. Riders drop in for practice runs at the Mahackamack 400. In the morning weather forecasted for rain in the afternoon but the skies stayed clear and riders were able to get a full day of skating in. Carlos hunting Thiago down the straight. Tomorrow kicks off racing and things are sure to be interesting with such an international pack of riders attending this year’s event. Last year’s top 3 World Cup Series contenders, Carlos Paixão, Dillon Stephens, and Thiago Gomes Lessa, are all in town this weekend competing for the top spot in tomorrow’s race. A few others include Colorado man Aaron Hampshire, last year’s junior champion Alex Charleson, Max Wippermann who won last year’s IDF race on the hill, and Max Ballesteros who is currently in the lead for this year's championship. 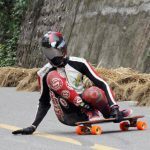 Max Ballesteros and Thiago Lessa getting sideways. Last year's Junior world champion, Alex Charleson, soaring right. Area local Emily Pross is looking strong and is bound to be a top competitor in both the Women and Open divisions. 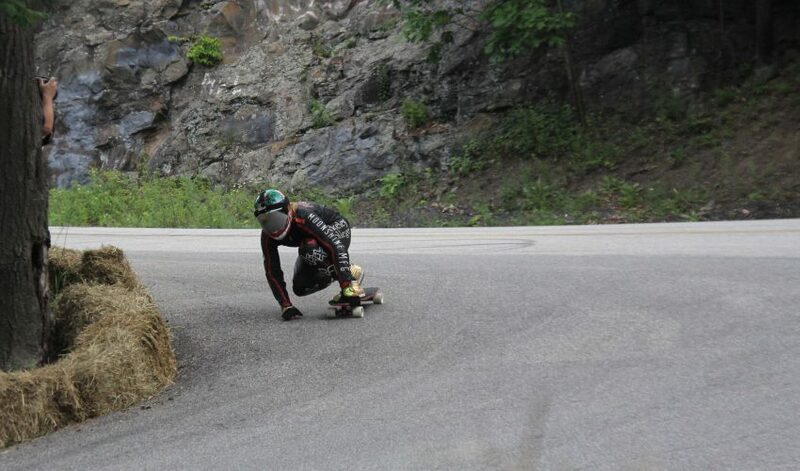 Emily Pross hitting the apex through the big right hairpin. 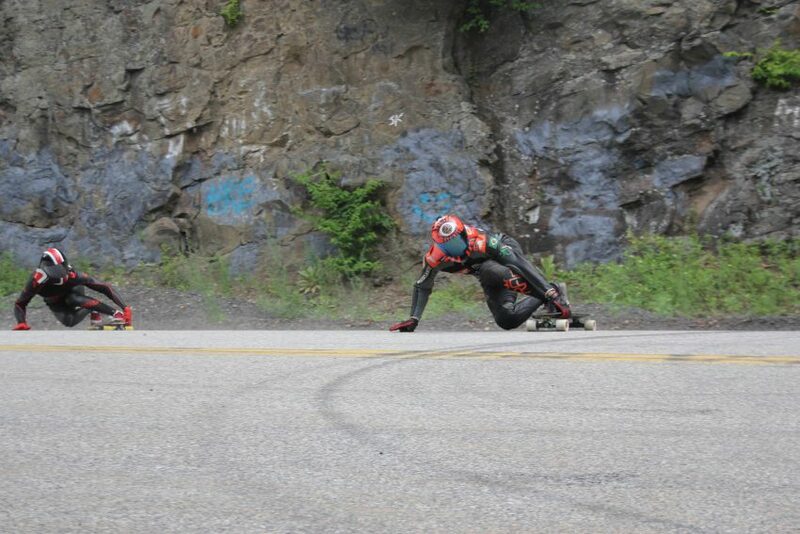 Kolby Parks from Canada showed how quick he is on a luge throughout last year’s races and this weekend is no exception. Along with east coast local, Chris Hicks, tomorrow’s Luge race will have some tight competition. Kolby Parks, Chris Hicks, and Bob Swartz drop in for a Luge run. Stay tuned for tomorrow’s results..